"Giving feedback" is one of the most effective ways to motivate employees to learn, increase their effectiveness in their jobs, as well as the effectiveness of the overall team and organization. Feedback is important because it helps them know where they can do better, and what and how to improve. But in reality, many companies globally are either not doing it right or not doing it enough to realize the power of feedback. How can we change that? 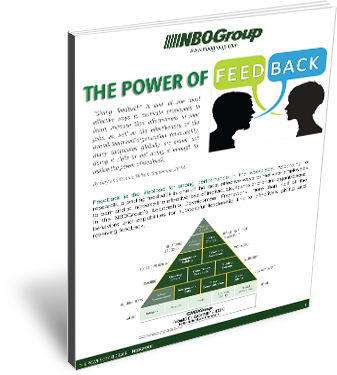 Learn the difference between the roles of feedback "Givers" vs. "Receivers"
Get a copy of this free whitepaper by completing the form on the right! I want to receive news and updates on NBO events, products and services.